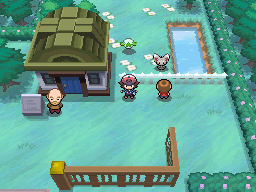 The Day Care Centre is found early within the game, in Route 3 just after Striaton City. 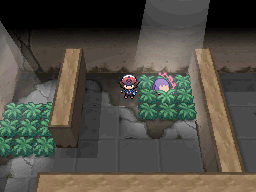 At first, you can only place one Pokémon into the Day Care Centre just like the one in Kanto Route 5. However, after you have reached Nimbasa City, you'll be able to now place two Pokémon within the Day Care. This feature works just like in the past games where the guy outside the Day Care Centre will tell you how well your Pokémon interact and if you have received an egg. One of the new features in the game is the introduction of a new slot of abilities that almost each and every Pokémon have. Many of these are given over the Dream World on the Global Link, but there are a couple of Pokémon within the games who will automatically have the abilities. Normally, you would be unable to get these abilities through usual breeding. However, if the female Pokémon has the Dream World ability, there is a high chance that the ability of the offspring will be the ability it has listed for Dream World abilities. However, if the male Pokémon has the Dream World ability and the female doesn't, and if you breed the female with a Ditto, the Pokémon will definitely not get the Dream World ability. This will allow you to continue to breed the Pokémon to get the perfect nature and Egg Moves that you require for your team.